Description: This modern high-set home is conveniently located only minutes to primary schools, public transport and Sawtell village and pristine beaches. Only sixteen years old, the property has been well maintained and has a practical layout including two separate living areas with the kitchen between. The more formal lounge area is carpeted and flooded with natural light, whilst the more informal area off the kitchen has a low maintenance timber-look vinyl plank on the floor. All three bedrooms are a good double bed size-and all have built-ins, the bathroom contains bath, shower and toilet, and there's also the bonus of another toilet in the laundry! A neat and tidy yard finishes this great little package off-easy maintenance, a bit of a blank canvas at present so you can garden to your hearts content or fill it with a shed. 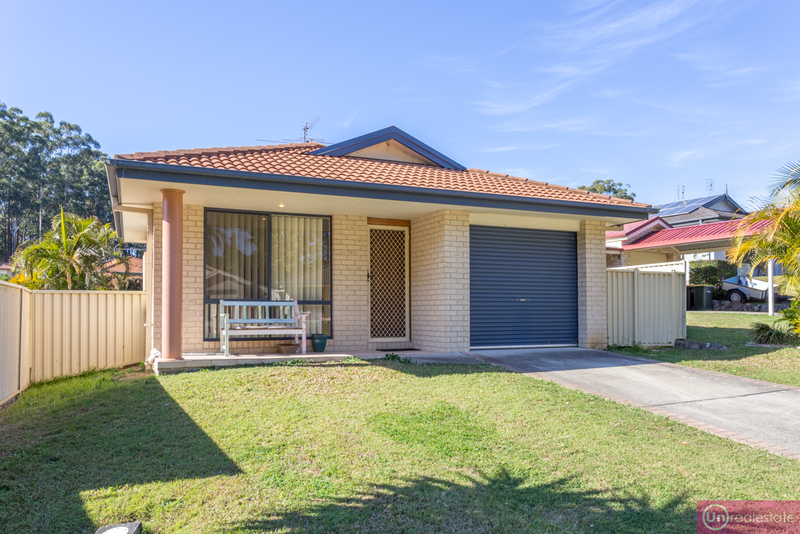 With good proportions overall, this is a great starter for a first home owner family, the ideal downsizer, or even an investment opportunity for the astute investor looking for a popular neighbourhood. With an expected rental return of $410 per week, and only 16 years old, it's a no-brainer as an investment.